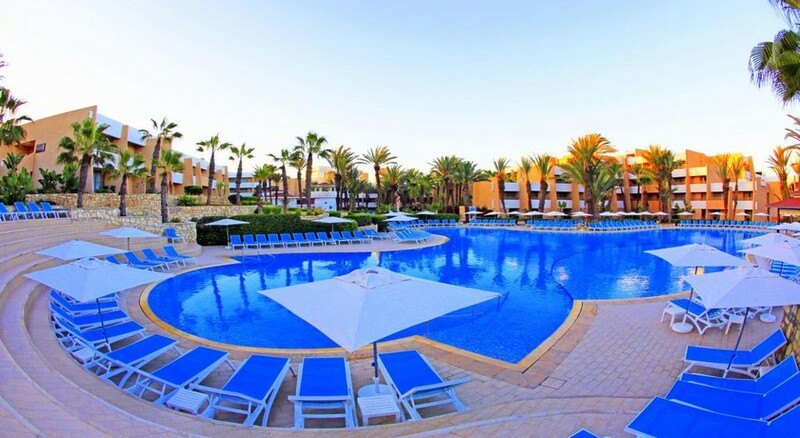 Located right opposite the Agadir Beach, Les Dunes D’Or Hotel & SPA is an all-inclusive family friendly luxury hotel 22km from the Agadir International Airport. 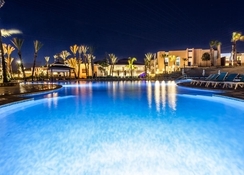 Featuring an outdoor swimming pool with sun loungers and a spa, with sauna and hot tub, the hotel offers a luxurious retreat amidst warm Moroccan hospitality to guests. With air-conditioned guestrooms offering excellent views of the sea, garden or pool, the hotel invites guests to rest in comfort with all modern amenities like satellite TV and en-suite private bathroom. Les Dunes D’Or Hotel & SPA is located right opposite the lovely beach in Agadir and just 3km from the city centre. With the Amazighe Heritage Museum just 1.9km away, the hotel enjoys a strategic location. The Agadir International Airport is at a distance of 22km. 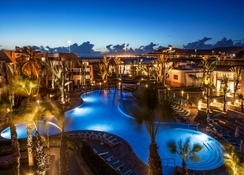 LABRANDA Les Dunes D’Or Premium Beach Club has 435 well-appointed guestrooms spread over four floors. Providing magnificent pool and mountain views, these come with air-conditioning (individually controlled), minibar, hairdryer, direct dial telephone, a bathroom with bathtub, Wi-Fi (extra charge), satellite TV, safe (extra charge) as well as laundry (extra charge) and dry cleaning service (extra charge). Standard Double Room, Triple Standard Room, Disabled Room Garden View, Family Room are some of the room categories available here. The LABRANDA Oasis Restaurant is an all-day dining buffet restaurant serving local and international cuisine while LABRANDA Bella Vista Restaurant is an Italian dining restaurant with panoramic terrace views. LABRANDA South Cap Restaurant is for fresh sea food. LABRANDA La Casbah is an authentic Moroccan restaurant. There are also lovely bars where guests can unwind with cocktails, including a pool and beach bar. 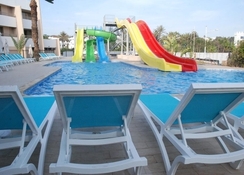 Les Dunes D’Or Hotel & SPA has two swimming pools (one indoor) and kids’ pool and terrace besides access to a private beach. There is a fully equipped gym for those who wish to stay active. There is a lovely spa with steam room offering massages and therapies and hammam. Tiny tots can have fun at kid’s club or playground. The hotel has facilities for table tennis, tennis and games room. 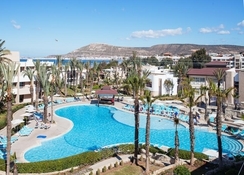 The hotel’s on-site water sports centre offers diving, windsurfing and canoeing. Guests can also shop at the shops on-site. We stay summer 2017 Was amazing food was so good and loads to choice from. The pool was decent and the entertainment was always fun during the day and evening was stay again and recommend staying here to anyone. Family couples would fit in. The food was amazing here, as was the service and staff. It was let down by the basic room (which were clean) and the facilities. The pool wasn’t pretty cloudy so we didn’t even use it. There’s a private area on the beach which was busy but better than the pool.